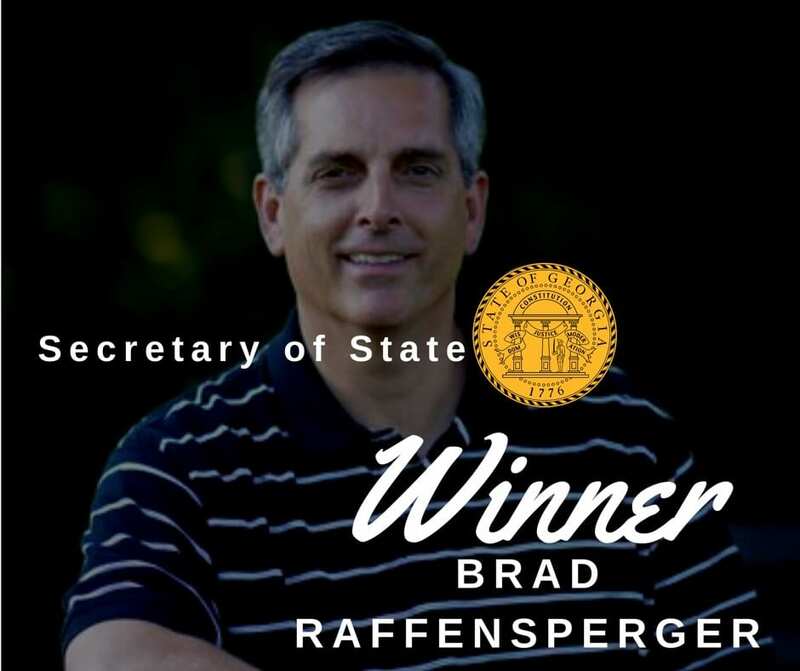 Blue Ridge, Ga. – Brad Raffensperger has defeated David Belle Isle in the July Runoff Election. Raffensperger and Belle Isle vied for the Republican nomination to seek the seat of Georgia Secretary of State. The Secretary of State seat is open with no incumbent as current Secretary of State Brian Kemp moves forward in the gubernatorial race. With all 159 counties reporting, Raffensperger was able to receive 61.76 percent of the vote while Belle Isle fell short only receiving 38.24 percent. Raffensperger will move forward to the November General Election where he will face Democratic nominee John Barrow. 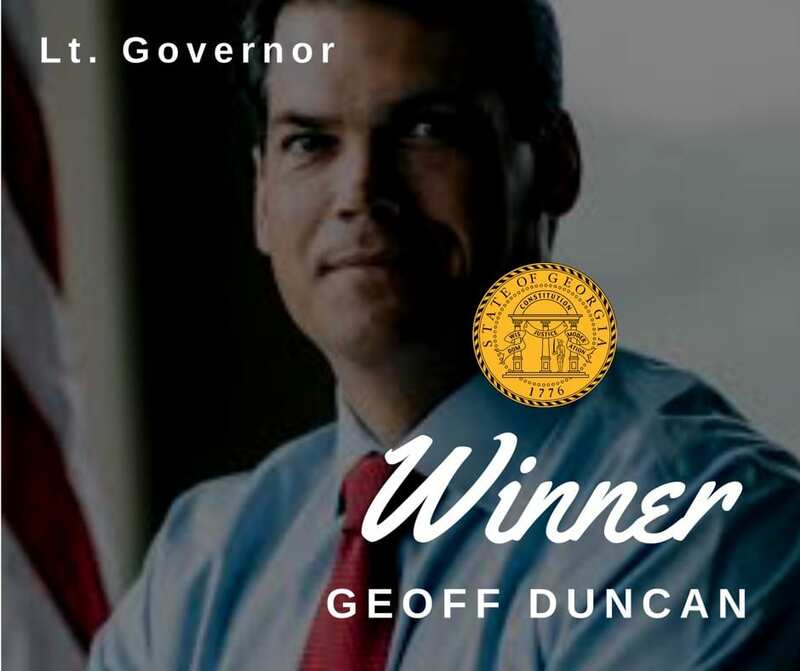 Blue Ridge, Ga. – Geoff Duncan narrowly beats out David Shafer in the July Runoff Election. In what was by far the closest race to take place during the runoff, Duncan beat out Shaffer by a mere 1672 votes. In some precincts across the state this race showed wins by a margin of only 2 votes. Duncan and Shafer vied for the Republican nomination to seek the seat of Georgia Lt. Governor. The Lt. Governor seat is open with no incumbent as current Lt. Governor Casey Cagle chose to throw his name in the hat for the Republican nomination in the gubernatorial race. With all 159 counties reporting, Duncan was able to receive 50.15 percent of the vote while Shafer fell short receiving 49.85 percent. Duncan will move forward to the November General Election where he will face Democratic nominee Sarah Riggs Amico.